Is The Shingles Vaccine Useful If You Already Had Shingles? Is The Shingles Vaccine Useful If You Have Already Had Shingles? The shingles vaccine will reduce your risk for developing shingles, even if you have already been infected with shingles in the past. Shingles, also known as varicella zoster virus and herpes zoster, can cause severe pain that takes weeks to go away. Some even consider shingles the worst pain they have ever experienced. The older you are the worse the virus tends to attack, which is why the Advisory Committee on Immunization Practices highly recommends anyone over 60-years of age to get the shingles vaccine. What if you have already had shingles before? Unlike chicken pox, which only occurs one time per person, shingles can flare back up. As a result, even if you have already had shingles the vaccine is still useful at preventing reoccurrences. In most individuals that have already had shingles it is not likely to come back, but it does happen. Shingles may return a second time and even more rarely a third time. Experts don’t have an exact number for the amount of people that get shingles more than once, but if you have a weakened immune system for any reason you are more likely to develop shingles a second or third time. On the other hand, if you have a healthy immune system it is unlikely you will develop shingles a second time. One study uncovered only 1% of people over 60 were re-infected with shingles within a 3-year span. Having shingles once will reduce your risk for getting it again but this is thought to only be true for a certain span of time. As time goes by your chances for getting shingles increases again. Within a 7-year period, 6% of people 22 and older were infected with shingles a second time. This means over the long haul you are just as likely to get shingles a second time as you were to get it for the first time. Who Is At The Greatest Risk For Getting Shingles Twice? Your shingles was severe with pain lasting over 30 days, otherwise known as post-herpetic neuralgia (PHN). You were over 50-years-old when you first developed shingles. You have a weakened immune system for any reason such as lymphoma, HIV, or leukemia. Will The Shingles Vaccine Prevent Me From Getting It A Second Time? Even if you have already had shingles the vaccine can prevent a new outbreak from occurring, or at least reduce the severity of the virus if it does return. It is still unclear just how much it works to prevent future occurrences. Although, if you have ever had shingles before you know any little shot is worth reducing your risk for experiencing the painful rash a second time. If you have recently recovered from shingles it is recommended to wait as long as three years before getting the vaccine. 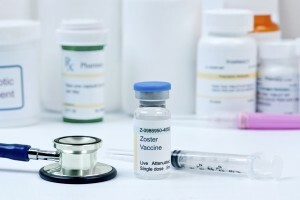 Some doctors recommend the shingles vaccine at 50 but the virus is known to be much worse and long lasting if you are 60+, which is why the vaccine is commonly given at this age. If you have a weakened immune system or are pregnant you should not get the shingles vaccine. Painful, itchy, or tingly rash. The itching, tingling or pain often begins prior to the development of the rash. The rash is most likely to develop on the face or torso area, although it can literally appear anywhere. It does not cover the entire body, such as chicken pox. Instead, it appears in one large swath or several areas of your body, but never the whole body. A band-shaped blistering rash is a common sign of shingles. Shingles impacts one side of your body during an outbreak, so it will typically either be on the left or right side. Please visit Urgent Medical Center in Plantation Florida today for fast, reliable shingles treatment and shingles vaccinations.